An easy way to instantly add interest and depth to an outdoor space is to replace dated lighting fixtures with new ones. There are many lighting options on the market in a wide range of colors and styles. Most choices are quite affordable and you will be amazed at what a few dollars can do in upgrading the overall look of your outdoor space. A freshly mowed lawn is essential to boosting your curb appeal when trying to sell your home. Mowing your lawn on a weekly or 10 day basis will allow it to grow enough between mows so that you don’t damage the grass. Make sure to also allow time for edging and clear away any clippings before your house is shown to potential buyers. Keeping your lawn in top condition is always a good idea to boost curb appeal. Do a thorough look through your front porch to find any small issues that have gone unnoticed for years. Fix small things like a slit in the window screen, tightening the mailbox, or replacing a burned out lightbulb. Attending to these small things can add up when it comes to receiving an offer for your home. Pick up a few beautiful sets of flowers from the garden center and plant them in a pot next to the front door. Colorful flowers will add instant beauty to the space and welcome guests into your home. Consider adding a few different colors to help create an interesting and inviting atmosphere. Get out your shears and trim up bushes and plants that have overgrown their spaces. All you need is a little bit of elbow grease to freshen up your landscaping. Trim bushes into eye pleasing shapes with rounded edges and give every plant in your garden enough room to shine while still being a part of the overall landscaping picture. You most likely have a can of leftover paint in the garage or basement. Use this to touch up areas of your house that could use a fresh coat of paint. Consider items like the mailbox, house numbers, or plant pots that have seen a few years since their last painting. If your front door needs some help consider painting it to add a fresh look to your home. You will be amazed by the amount of dirt a good power washing can lift from your home. Renting a power washer for a day is also a good and affordable way to add curb appeal to your home. Another affordable option is to consider borrowing one from a friend to save on expenses. Pay close attention to the outside of your home as well as gutters, patios, walkways, and patio furniture. Picking up a few bags of mulch at a garden center is a great way to add instant curb appeal to your landscaping. Mulch not only looks great but it also provides essential help to plants by helping to retain water as well as keeping weeds at bay. Simply add a few inches of mulch around trees and garden beds to instantly raise the overall look of your home. There are many ways that you can instantly increase your home’s curb appeal without breaking the bank. Consider ways that you can help your home for little to no cost. Doing any of the above tips things can help boost your home’s resale value. Tori Fuller is a DIY enthusiast, taking any trash she can get her hands on and turning it into a luxury item to envy. When she doesn’t have her hands in a tin of paint you can find her perfecting her nature photography techniques. Working with the right real estate agent who has the knowledge of the latest gadgets and amenities available in your area can make all the difference. RE/MAX agents are more recommended because they recommend what’s right for you. Find an agent today at remaxallpro.com. Holiday Traditions room by room. Posted by RE/MAX All-Pro on December 13, 2018 Comments Off on Holiday Traditions room by room. There’s no place like home for the holidays. 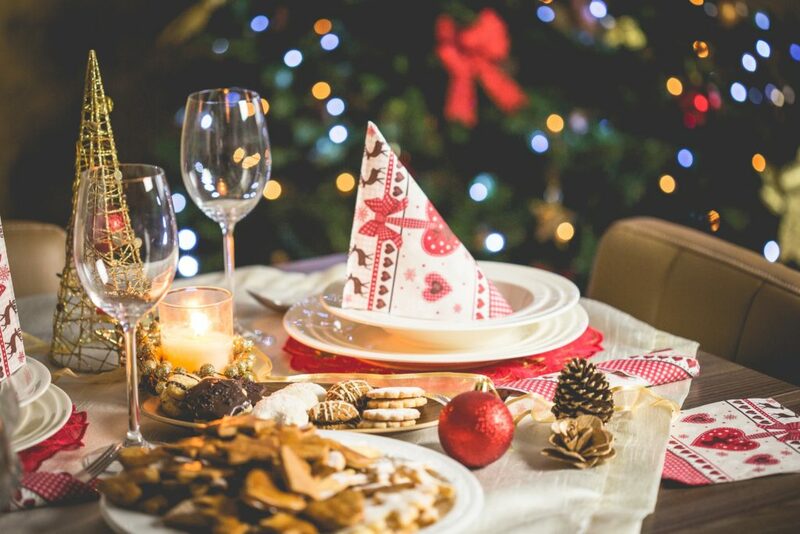 Whether you are a new homeowner, or are celebrating another holiday season in your well-loved home, your living spaces can be integral in making memories with family and friends. Time to put some holiday music on, gather up the kids and start creating these holiday traditions now, one room at a time. With so much delicious food to make and bake during the holiday season, your kitchen is an easy place to begin creating holiday traditions. Baking cookies, frying latkes or building gingerbread houses (complete with a RE/MAX sign!) are activities in which the whole family can participate. You can go one step further and take your cooking skills to a local soup kitchen to support your community during this season of giving. Often the center of the home, your living room-is where the hustle and bustle of the holidays melts away. Kick back with a holiday movie, start a fire and decorate the Christmas tree as a family in matching holiday sweaters, no less! Light the menorah or host a New Year’s Eve party. The holidays can be stressful-use your home as a sanctuary to focus and reflect on what this time of year means to you. When you think of holiday traditions outside, colorful lights and an inflatable Santa come to mind. But don’t dismiss other low-stress outdoor activities like sparklers in the snow, sky lanterns or caroling. If you can handle the cold, or live in a temperate climate, plan a get-together around an outdoor fire (complete with a yule log) on the Winter Solstice. At RE/MAX, our agents find homes that match your life and style. Are you ready to start making traditions in a home of your own? Find an agent here. While parents may have a handle on the household budgets, it’s the kids who influence one of the biggest purchase decisions you make as a family-a new home. In the U.S., there are 50 million children 11 years old and under who have a hefty $1.2 trillion in annual purchasing power and they mean business. We’re not just talking about their mini-opinions on everyday purchased like food, clothing and toys; their influence extends to larger life purchases including cars, vacations and yes, even homes. 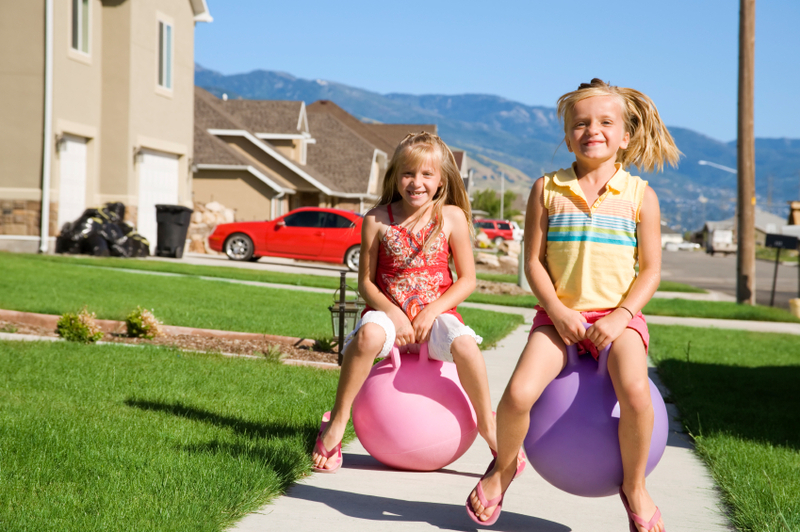 While parents study and search for the best school zones, other home features like having their own room, a large backyard and a swimming pool were more popular to the Mini-Me in the family. This might explain why many couples move out of the city to suburbs when they start a family-even as some urbanists continue to stay put in city life raising their city kids. Finding the right home that’s just right for your family starts with finding the right agent. RE/MAX agents are more recommended because they recommend what’s right for you-and your kids. 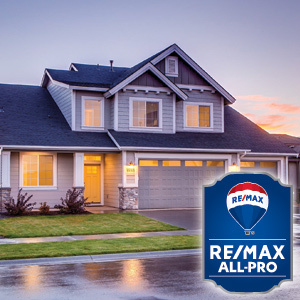 When you’re ready to start the process of buying a home, RemaxAllPro.com will be ready to help. The day many tech lovers have been waiting for is here: Google Daydream View is now available in stores. The new virtual reality headset connects with a smartphone (specifically, Google Pixel) to immerse users in their favorite games, movies or even the latest news story. And at just $79, Daydream is making VR technology more accessible to consumers than ever before. But the uses of virtual reality technology go beyond entertainment. Here are a few ways VR is making its way into real estate. Virtual reality headsets, about the size of a scuba mask, can provide 360-degree virtual reality property tours of homes. The headsets completely fill the user’s field of vision with a view of the home, allowing them to look up, down and from side to side. Developers are working on adding more tactile features to the experience, so users can do things like see their own hand opening a door, reports the New York Times. They’re even developing smells. One day Realtors might be able to add the smell of virtually baking cookies to their virtual open house. Virtual reality home tours give out-of-town buyers (and local buyers, too) another tool to help narrow down their choices of homes they’d like to physically visit in a limited amount of time. More affordable than hiring a pro to stage your home, several virtual options allow you to add furniture and decorations to vacant rooms using computer technology. It can help buyers envision a property with different furniture and paint. There’s a lot more to a real estate transaction than VR goggles can replace. When you’re ready to buy or sell your home, work with an experienced RE/MAX agent. Find a local RE/MAX agent here who can help you find the right place for you. Posted by RE/MAX All-Pro on December 27, 2017 Comments Off on Happy Holidays! On behalf of everyone at RE/MAX All-Pro, we want to wish our community a joyful holiday season and a prosperous New Year! We are eternally grateful for the bountiful blessings bestowed upon us in 2017, and we hope you are all able to take the time to reflect on the things you are thankful for, as well as your dreams and goals for 2018. The holiday season reminds us that our relationships—whether it be with family, friends, coworkers, or even people we interact with for only a short time—are what truly make life meaningful. Wishing you all a happy, peaceful, and successful New Year. Cranking up the AC can also crank up your electric bill. Here are a few alternative ways to keep your home cool this summer. If you still haven’t switched to CFLs for environmental or economic reasons, do it to be cool. Incandescent bulbs waste about 90 percent of their energy through the heat they emit. Try out a buckwheat pillow for bedtime. They don’t absorb and retain heat like cotton and down pillows. Place a big bowl of ice water in front of a fan for a cheap alternative to central air. Close your window blinds or curtains when you leave to prevent your home from heating up like a greenhouse while you’re gone. Cooking outside on the barbecue keeps you from heating up your home with a stove or oven. It also minimizes the time you have to sweat over the dishes. Open internal doors at night to maximize any fresh, cool air that makes its way inside. For the summer, set your ceiling fan to rotate in a counterclockwise direction to create a cooling, downward airflow. In winter, turn the setting back to clockwise to recirculate warm air. Use your bathroom fan when you shower and your exhaust fan when you use your stovetop. They’ll help draw the hot air up and out of the room. Electronics emit heat when they’re plugged in, even if they’re turned off. Unplug them, or use a smart power strip, when you’re not using them. Want a cool new place to call home? Learn what your cold cash (or approved mortgage amount) can buy in today’s market. Start by finding an experienced agent here. 1. Get your financial ducks in a row. Calculate how much money you have in savings and assets, your total annual income and your expenses. Know how much of it you can allocate toward a downpayment and other expenses. Check your credit report and fix any errors. This will help you determine what type of loan you qualify for, and the price range of homes you want to look at. 2. Determine how much house you can afford. A common rule is that your monthly mortgage payment should not exceed 28 percent of your pre-tax income. You can plug your information into an online mortgage calculator to get a starting idea of exactly how much you’ll pay each month with different interest rates and terms. 3. Find a real estate agent. Interview several agents to find one that specializes in the communities you’re interested in and has experience representing buyers with the type of home you’re looking for. Search for a local agent now. It’s important that you keep an open mind and look at a wide range of properties. Go to open houses. Cruise the Internet. Peruse different neighborhoods. Your agent will also help by finding properties that match as many of your “wants” and “needs” as possible. When you fall in love with a house and are ready to make it official, your agent can help you navigate the process from putting in an offer to the closing table. Whether you’re buying, selling or looking to make your house a home, you can find more advice on the RE/MAX blog. According to the National Association of Realtors, 42 percent of homebuyers start their home search online, and 92 percent use the Web during the home search process. While the Internet can be a good place to start looking, there are things real estate agents know about the process of buying and selling a home that can’t be found in any Web browser. The Internet isn’t always much help when it comes to comparison shopping, either. Many of the same factors that help an agent set an appropriate listing price aren’t available in an algorithm, so online estimators aren’t always accurate – and could be costly if you purchase without consulting a real, live professional. If you find a home you love online, the website won’t be there to guide you through a mortgage application, find a home inspector or advise you what to do if an inspection reveals issues. Having an experienced, professional negotiator drive your transaction can be vital to reaching a fair price for the property you’re buying or selling. A website can give you an estimate of how much a property should cost, but it can’t evaluate whether that’s a great price or not. One way the Web is helpful in real estate? Finding a great agent to work with. Start your search here. With the 2016 home-buying season just starting, April sales saw a 7.5% increase over March and a 3.2% rise over April last year, which nearly matches the average year-over-year sales increase of 4.3% so far in 2016. The Median Sales Price in April was $215,000, which was 5.4% higher than one year ago and 7.5% above the median price in March. The inventory of homes for sale remains very tight in many markets across the country, with the April inventory 15.2% lower than April 2015. At the rate of home sales in April, the national Months Supply of Inventory was 3.2, down from 3.7 in March. The May 2016 Housing Report infograph can be found here. Don’t forget to come out to our Open House Showcase this Sunday! 17 homes will be shown, with more than a dozen of our agents hosting!